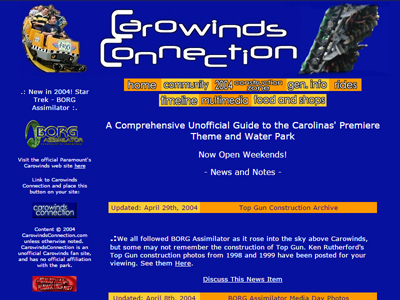 Carowinds Connection was created in August 2003 to track a construction project that would ultimately become the BORG Assimilator (now Nighthawk) roller coaster. 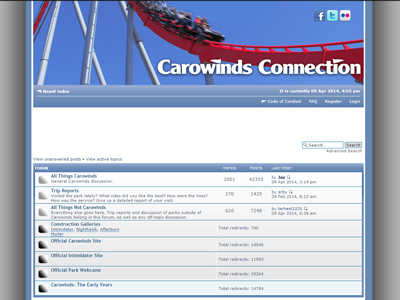 Since then it has become one of the most popular amusement park websites and the definitive unofficial Carowinds fan site. 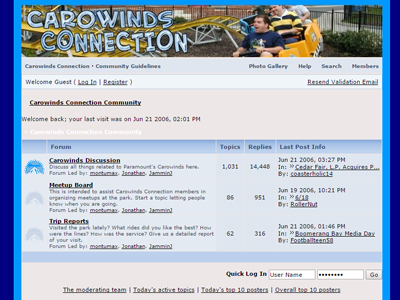 The site has served nearly 2.5 million visitors with over 25 million page views and 1,400 registered members. 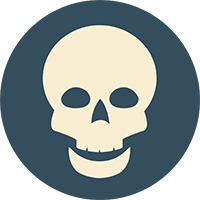 It has been referenced in the Charlotte Observer, Rock Hill Herald, Charlotte Business Journal, Visit Charlotte, and other publications and websites. 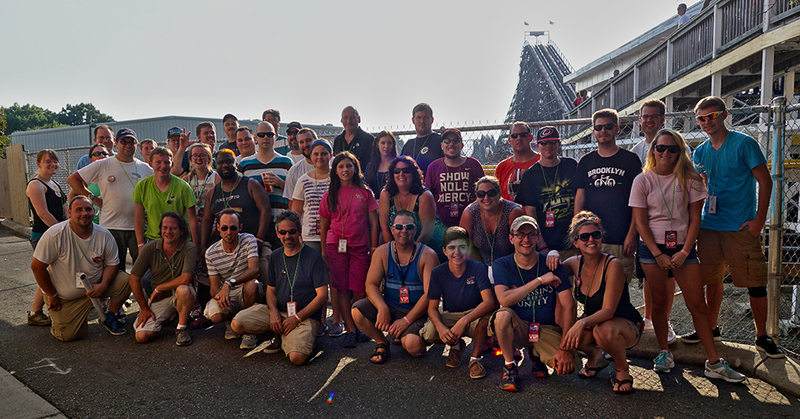 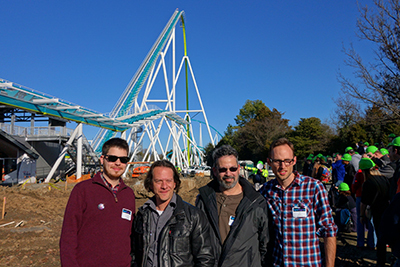 Carowinds Connection members have been invited to new ride announcements and media days and are regular attendees at events held by the American Coaster Enthusiasts and other amusement park clubs.